We have the courage to claim that we are the favorite cleaners of our London customers. Our services are tailored to match the top level quality standard of the cleaning business and two because we use only the best and most efficient cleaning machines. 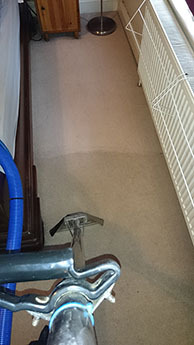 With the aid of our instruments we are able to easily gain access to hard-to-reach areas and clean them meticulously. We are also able to properly clean all types of carpets, rugs, window treatments and furniture upholstery. Have no worries about the items that are heavily tarnished and stained as we will restore their former appearance. We use only the finest cleaning detergents and this is why we are able to easily and effectively remove even the most resilient stains. Keep in mind that the solutions which we use are 100% eco-friendly and don’t contain any chemical or toxic ingredients. We have chosen to work with such cleaning solutions because they are as good if not better than their chemically-based counterparts and cannot harm the objects that are being cleaned. Each cleaning job is handled by our team of experienced and highly competent cleaning technicians. 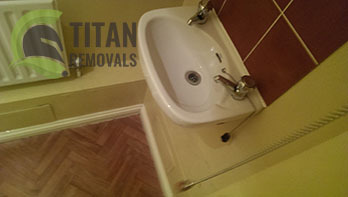 It many ways it is because of them that we have managed to become one of the leading cleaning companies in the city. So, rest assured that your former rental unit will be cleaned in a diligent and respectful manner. Even more, we are ready to promise you that once our cleaners are done with your project you will be able to retrieve your security deposit in full. On another important note – our fair and reasonable prices which we based on the unique parameters of each job. So, have no worries that we may be out of your league. You can see for yourself that we do indeed work with cost effective cleaning fees by calling us and requesting a free quote. We welcome you to explore our website in full so that you can learn more about the remainder of our services and work methods. Know that we are eager to meet you and work with you. Our company is based in the capital of England, London. It is one of the largest cities in Europe and the largest in the United Kingdom. It is also one of the most visited urban areas on the planet as it is the home to numerous prominent landmarks that tend to attract both local and foreign visitors.